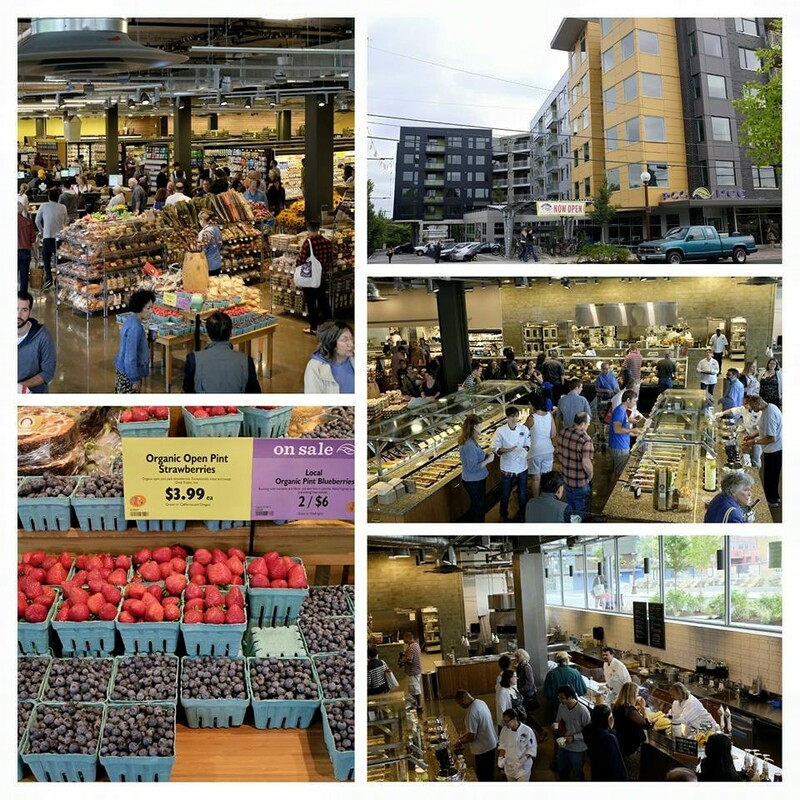 SEATTLE — A new grocery store opened in Seattle Friday and while that alone might not seem like an important headline, in Columbia City it’s getting a lot of attention. The diverse neighborhood south of downtown has been changing for years, but lately there are some prominent signs of development and its impact on the community. “We just thought it was an incredible opportunity to join this vibrant, thriving community, growing in every way,” said PCC CEO Cate Hardy during a ribbon-cutting ceremony on Friday morning. The natural market caters to discerning shoppers who are willing to pay a little extra for quality, and the chain’s latest up-and-coming customer base is in Columbia City. A few floors above, new studio apartments rent for $1,700 a month. Though this historic south-end neighborhood has added a lot of new storefronts in recent years, this new development is quite a change. “Today, quite honestly, it felt very different. It’s just bustling,” said Genessa Krasnow, who lives nearby. Just down the street, a developer wants to build a six-story apartment building with retail space. It’s among seven planned projects within a few blocks near Rainier Avenue South. One of them is going in right across the street from Faye Lowe’s long-time home. “42 years, raised my children here,” she said from her porch. Her property value “has reached the sky, it’s amazing,” but she’s apprehensive about all this change. “It’s kind of overwhelming because it’s just too much construction, you know I’ve lost my quiet neighborhood,” Lowe said. 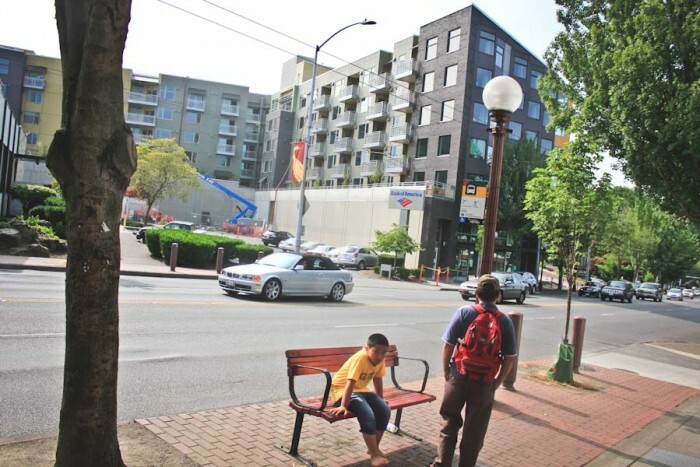 Affordable housing groups say they’re watching Columbia City closely, knowing that although development brings jobs, it often drives low-income families out of their neighborhood. Some of the first shoppers at PCC share that concern. “I’m hoping that we will still see all of the diversity that I have come to know and love in Columbia City,” said Debra Bouchegnies, who was checking out the new store’s displays. Photo by Dennis. CC Facebook page. LOCAL, NATURAL FOOD PRODUCTS AND ENVIRONMENTALLY-RESPONSIBLE ATTRIBUTES FEATURED THROUGHOUT PCC’S NEWEST LOCATION. (Seattle, Wash., July 17, 2015) – PCC Natural Markets (PCC), will open the doors of its new Columbia City store on Friday, July 24 at 9 a.m. 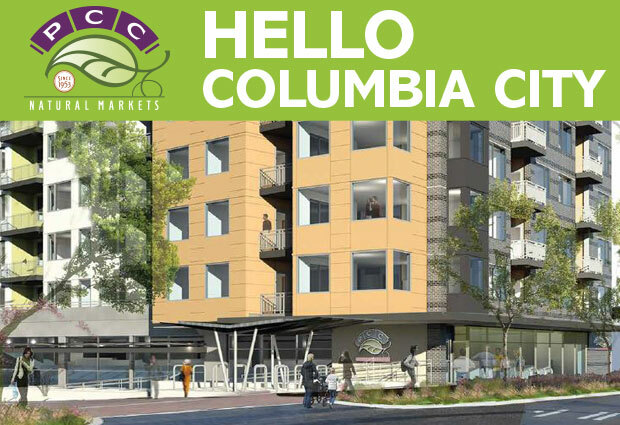 The Columbia City PCCis located at 3610 S. Edmunds St. in The Angeline, a mixed-use development at the intersection of Rainier Ave. S. and S. Edmunds St. The opening of the Columbia City PCC will be preceded by a ceremonial ribbon-cutting by Seattle Deputy Mayor Kate Joncas and PCC CEO Cate Hardy at 8:50 am. The public is invited to attend. Store hours going forward will be 6 a.m. to 11 p.m. daily. PCC has been serving South Seattle neighborhoods at its smaller Seward Park location for 30 years. 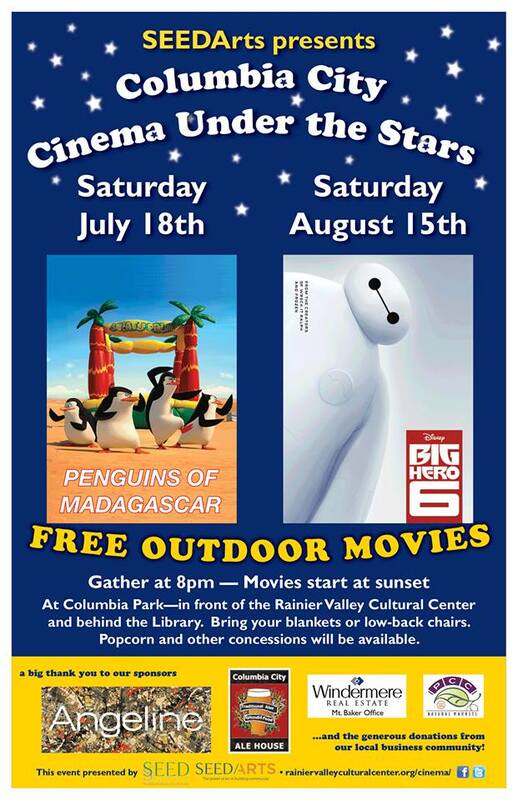 The Seward Park PCC will close the on the evening of July 23. PCC announced plans to be the anchor tenant in The Angeline in January 2013. The 25,000 sq. ft. PCC will offer a full line of natural and organic grocery products, best-in-class produce, full-service meat and seafood departments, and a wide variety of prepared foods and grab ‘n go deli items made fresh daily and on-site. Deli offerings will include a taqueria, noodle bowl bar, pizza, smoothies, espresso drinks and salad, soup and hot food bar choices. The new store embodies a number of environmentally-responsible features to minimize its carbon footprint in support of the environmental element of PCC’s triple bottom line. The Columbia City PCC will be the first of PCC’s Seattle locations to host a WISErg Harvester that repurposes food scraps from store operations into high quality liquid fertilizer. The new location features a fully-equipped cooking classroom – just one of many upgrades from the Seward Park location. Classes offered though the PCC Cooks program will begin on August 4. The schedule and registration can be found at PccCooks.com. PCC partners with local food banks in each of the neighborhoods its serves to provide nutritious bulk food – purchased with shopper donations – to local residents in need. The Columbia City PCC is partnering with the Rainier Valley Food Bank, Jewish Family Services Food Bank and Chicken Soup Brigade. PCC also is a proud sponsor of the Columbia City Farmers Market, the Rainier Valley Heritage Parade and the Columbia City Gateway Project. Complimentary 90-minute parking for PCC shoppers is provided in The Angeline parking garage accessible from both Rainier Ave. S. and S. Edmunds St. In an announcement on Facebook today, Capitol Hill wine shop Vino Verite confirmed that it is in fact moving to Columbia City. Further discussion on the post clarified/suggests that Baol African imports is closing (they’ve had “clearance” signs up for a few weeks now…UPDATE (7/14): There is now talk that Baol may be relocating to the CD), Andaluz is moving next door to Baol’s spot (not yet confirmed by Andaluz), and Verite is moving in to the Andaluz space. After almost seven years in our current location, we have a very important change to tell you about: Vino Verité will be moving to Columbia City at the end of July. Our last day of business in Capitol Hill will be July 25th, 2015. For the last seven years, our location has been good, but not great. We tried a number of changes but the walk-in traffic has not achieved a level that supports the business enough. Meanwhile, outside sales to non-profit and business accounts have increased, making our business successful in ways that allows us to move forward. We’ve been looking for a better space in Capitol Hill for several years now, but unfortunately nothing has presented itself that had the right mix of commercial potential, size and price. So, we broadened our search to other neighborhoods. Dave found a space in the heart of Columbia City’s local business district that’s right on “the main drag”, something we have always wanted: to be in an area of more walk-by traffic. Our new address will be 4908-C Rainier Ave S, Seattle 98118-1744. Phone numbers and email will stay the same. Our ideal solution would have been to keep two locations open, and there may be an opportunity in the future that allows us to reopen on Capitol Hill. Until then, we hope you come out to see us in Columbia City. We should be up and running by the first of September. It’s just a quick light rail ride away, and the new location is about 3 blocks from the Columbia City station. On the other hand, if you want to stay on the hill, we’d recommend that you try European Vine Selections on 15th for your wine needs. Doug and the rest of the staff at EVS are very knowledgeable about wine, and they share our focus on finding delicious wine at reasonable prices. We hope this move is not viewed as “another local business leaving Capitol Hill.” To us, this was a hard decision—again, because the support was so enthusiastic and loyal—but this move allows the business to move to its’ next level. We encourage you to come and shop with great enthusiasm in the last weeks of our current location: after all, our collection of wines is unparalleled. We hand-picked them all. While they last, for each six bottles purchased, besides the usual discount, we’ll give you one of our logo bags as an extra thank you. Tomorrow’s Today’s the big day! We’ve got Latin and Americana tunes on the street, funk and blues in the bars, and some of THE BEST players in town at 8pm at the Royal Room – Thione Diop, Skerik, Wayne Horvitz and Evan Flory Barnes – in their band Trance-endental Grooves! See you there! 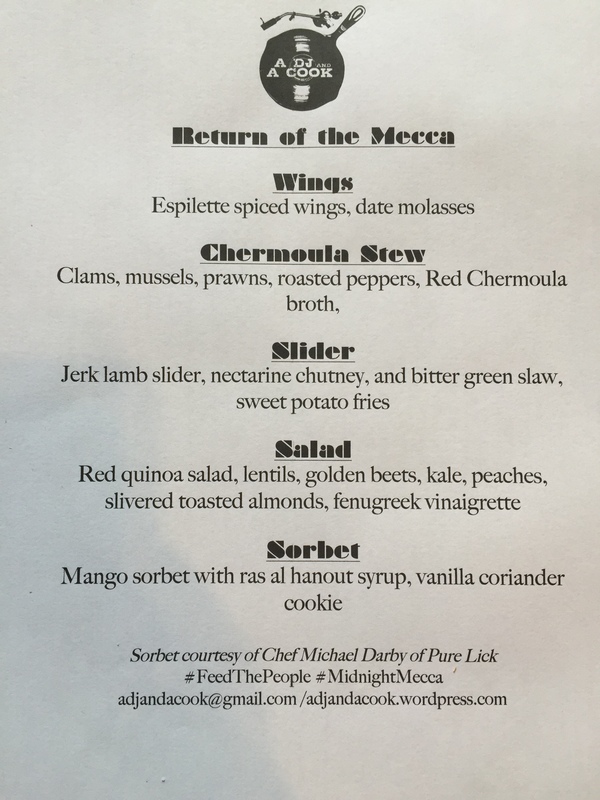 Also worth checking out is neighborhood chef Tarik Abdullah’s pop-up at Island Soul. If you haven’t checked out what he’s up to in the neighborhood, you definitely should. My daughter just finished a cooking class with him at Hillman City’s Collaboratory…he was great. Here’s a sneak peak of tonight’s menu. Seattle Globalist’s Sharon H. Chang has the following article up on the varying opinions regarding the gentrification of Columbia City. The whole piece is worth a read here. …The Angeline went up fast with constructionBEGINNING mid-2013, but doors on its 193 living units and 30,000 square fee of street level retail alreadyOPENING this summer. Many expressed shock at the newly advertised apartment rental rates, ranging from $1,755 per month for a studio to $3,265 per month for a 2-bedroom. The building boasts a private theater room, rooftop terrace, fitness center, and anchor commercial tenant PCC Natural Markets — aGROCERY STORE with a price point that keeps even middle income families from being able to shop there on a regular basis. The building’s rapid rise has amplified those awkward conversations about gentrification in Columbia City. For Randolph Cross, proud member of The Royal Esquire Club, just a few blocks up Rainier Ave, it may not be such a bad thing. The Esquire Club was founded in 1948 by five young Seattle Black men “to promote social and civic betterment in the community, city, state and country.” It moved to Columbia City in 1986. Cross said the club is glad to be part of revitalizing the neighborhood. A Seattle native, Cross grew up in the Madison Valley area, which he loved. He’s pleased with the neighborhood changes, and thinks the Angeline is needed development. He says he looks forward to improvements extending further south where he now lives in Rainier Beach. But other longtime locals disagree. I spoke to one Black woman who went to Rainier Beach high school in the ‘70s and has worked in Columbia City for 20 years. She asked not to be identified for fear of blowback in the neighborhood. Although the promo campaign for this series has essentially been nonexistent (has anyone seen or heard anything about this? ), SEEDArts and Seattle Chamber Music Society is putting together a number of great music events in Columbia City this summer. Bring a picnic, stretch out on the lawn, and enjoy a live audio broadcast of each of our Summer Festival concerts, provided directly to neighborhood parks by KING-FM. Each evening begins at 7:15pm with live chamber music performed by an outstanding student ensemble, and continues at 8:00pm with KING-FMs live broadcast, direct from Benaroya. 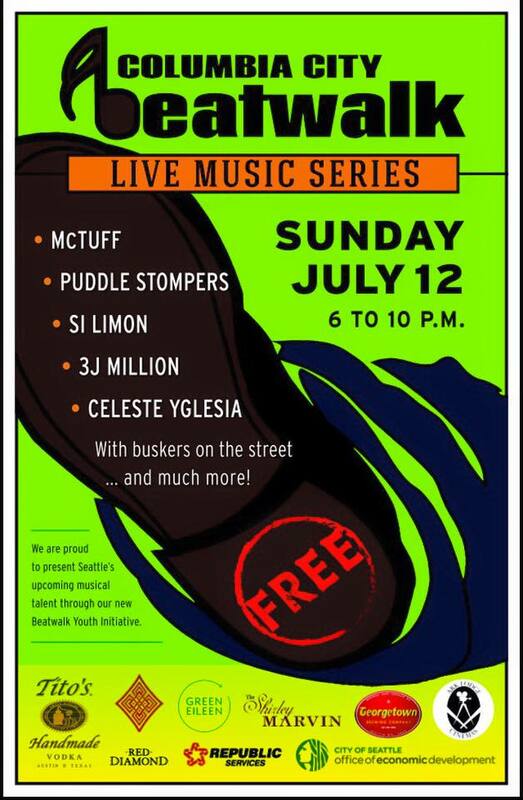 Grab a blanket, pack a picnic and enjoy an evening of great music in Columbia Park for…. for free! These “Music Under the Stars” events have been a beloved Seattle tradition for over twenty years. And with the support of SEEDArts, we’ll now be in Columbia City for the first time! Columbia Park is located at the corner of Rainier Ave S. and S. Alaska, between the Columbia City Library and the Rainier Valley Cultural Center.